"Forward March: Taking the Next Step with Schwab." 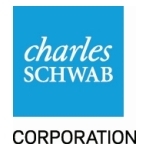 SAN FRANCISCO--(BUSINESS WIRE)--The Charles Schwab Corporation has been named to the 2014 list of top “Military Friendly Employers”. The Military Friendly Employer® title is awarded by Victory Media, publisher of G.I. Jobs and Military Spouse. 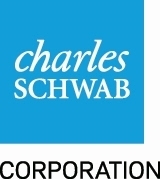 This recognition reflects the emphasis Schwab places on recruiting and training military veterans who are joining or rejoining the workforce. 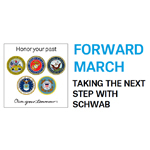 “We want to be known as an employer of choice in the military community,” said Ryan Kosowsky, managing director of talent acquisition, who oversees Schwab’s military recruiting initiative called "Forward March: Taking the Next Step with Schwab." Kosowsky, who left active service in the U.S. Army as a major in 2012, has had a 15-year career in the military and today serves in the Arizona Army National Guard in addition to his role at Schwab. Companies competed for the Military Friendly Employer title via a survey of over 5,000 companies with resulting survey data independently tested by Ernst & Young LLP based upon the weightings and methodology established by Victory Media. Criteria for the survey included a benchmark score across key programs and policies such as the strength of company military recruiting efforts, the percentage of new hires with prior military service, retention programs, and company policies on National Guard and Reserve service. Schwab is also a member of the 100,000 Jobs Mission, which is a coalition of 123 companies that represent almost every industry in the American economy. Launched in 2011, the 100,000 Jobs Mission committed to hiring at least 100,000 U.S. military veterans by 2020. Together, the 100,000 Jobs Mission companies have already hired 92,869 veterans and have now doubled their commitment and plan to hire a total of 200,000 by 2020. For more information, visit JobsMission.com.